I have been praying off and on for years. Have bought a total of nine different prayer books because I believe I am lost and I'm trying to hard to find Jesus and for Jesus to answer my Prayers. I have done things that are wrong, sad and terrible. Because of these things I am still in the dark and I do not know how to seek God. At times I believe in God, at times I am angry with God and at times I tell myself there is no God. My wife and I lost our home, I was fired from my last job, not sure why? My job prior my position was eliminated and I am applying everywhere I can. We had to file bankruptcy. Money is a problem right now. Strange however that when I had my job prior to this last one, I for some reason started paying off all our debt and now I believe that God told me to pay off all of our debts. The amount was close $56,000 in mostly medical bills. I know god saw the future and prepared me for these hard times, I still thank him when I think back and remember what we owed. If God did this for me, then why can't I feel him in my heart? why would god help me? does he know something I don't know? I have many times thought of taking my life because there is no end in sight. The only reason I haven't is because I want to make all this up to my wife by replacing the home we lost and replacing it with a new one, I have failed her and I know I am a looser and half nothing to show for. I am addicted to pain killers and this changes my mood many times. Despite all of this and other things, my wife has stood by me and has told me many times that she loves me no matter what. How can I leave her?? I need help in locating God. I started to pray a week ago and trying to do my best at keeping the faith, it's hard when you don't know the lord. All i'm asking for is a prayer so that I can find Jesus Christ first and then I will submit my sins to him and ask for forgiveness. Will anyone out there help? I was there, lost and without hope, seeking God. Faith is a decision. Get a grip on yourself and do not allow the indulgence of doubt. Decide to trust and believe that God is in all things in your life and thank him and praise him all day long, receiving everything as gift, good and bad. 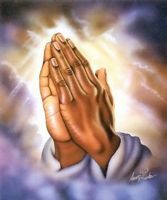 Start praying for others, people under bridges, dying babies, distraught humans, and all for love of Jesus. Forget the prayer books! Decide Jesus is your friend, because he is, and it is your job to approach him, to get to know him, as a man who walked this earth. Tell him in your own words your problems, fears, doubts, anger as you walk in the park with him, go to the beach with him, wherever you live. He is a real guy, albeit also Divine, and he is very lonely in this world! Befriend him! He needs you. Your sin is of no interest to him. Your happiness means everything to him. Invite him to live in you and to change you from the inside. Together you do it. Alone you cannot. He will do nothing for you but everything with you. Last advice excellent: pray the rosary and the Divine Mercy but think about who you are talking to - don't through out words like confetti. Aim them! And believe they are being answered as you speak! Meditate on the mysteries and think about what Jesus and Mary suffered on earth, looking at them instead of yourself. I called on St Jude, the Saint of lost causes into my life and he saw me through to Mary and the Lord. Come and join us, you are so welcome and loved. Why did God help you? Did you sin and get yourself in trouble? That is the qualification. He wants to help you because of who he is, not because of who you are. He made you, he loves you, he hates what happened to you and he wants to work it out with you. He is looking to have a personal, friendly, relationship with you and he is looking to bring family to his Father. That's you. Say yes, ask Mary's help in an ordinary, everyday way and life will change, pronto. Be blessed! See you there!